Operation School Bell®, the signature philanthropic program for National Assistance League®, was created in the 1950s by a teacher in Los Angeles who noticed children from one family attending school on a rotating basis, based on whose turn it was to wear the only clothes they had. This teacher gathered castoffs from friends and family to begin what we now call Operation School Bell®. Assistance League Tulsa® current Operation School Bell® consists of four programs to serve Tulsa area school age children. 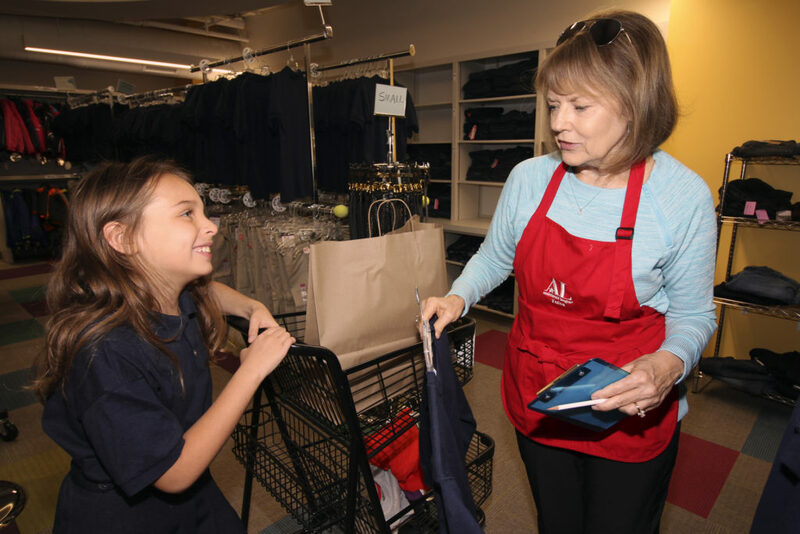 ONSITE AT ASSISTANCE LEAGUE TULSA® – We provide a shopping experience at our building for elementary children in need. We have dedicated space with racks of new clothing, a shoe department filled with new shoes and dressing rooms. We work with school counselors in the Tulsa Public School District to identify students whose families need assistance in providing school clothes. Students are bused, courtesy of Assistance League Tulsa®, to our building and get to “shop” for new clothing. OFFSITE-Volunteers meet students with their parents or guardians at an area Walmart after school at designated times. 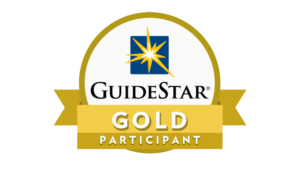 We work with school counselors in the Tulsa County area School Districts to identify students who are most in need. Parents check in and receive an approved list of items they can select and go shopping with a budgeted amount. Items are shown to the Assistance League volunteers to approve and then the approved items are purchased. UNIFORM SHIRTS-Tulsa Public School elementary and middle schools, with the highest number of students qualified for free lunch programs, are provided two uniform shirts for each enrolled student. HIGH SCHOOL and MIDDLE SCHOOL PROGRAM-Counselors and/or social workers at qualified Tulsa Public School Middle and High Schools maintain a “clothes closet” which provides necessities to students in need. These needs are not limited to clothing but also include, personal hygiene products, school supplies, food/snacks, backpacks and other essential items. Each site prioritizes the need and determines how the funds within the guidelines of approved items will be spent. The selected schools have a representative from Assistance League Tulsa that works directly with them to facilitate orders and makes necessary purchases. Assistance League Tulsa® Operation School Bell® recipients are selected through the counselor or social worker at pre-identified schools in the Tulsa Public Schools and 13 Tulsa area school districts in Tulsa County.